A wedding is an undertaking that has a number of intricate details that must be organized, in order for the life changing event to be successful. Over the years, the twin island state has been ranked among the best, where destination weddings are concerned. With this in mind, the Antigua and Barbuda Hotels and Tourists Association and the Wedding Planners Institute of Canada, have partnered to host two days of training sessions at the Antigua and Barbuda Hospitality Training Institute (ABHTI). The Canadian institute is certified and regularly conducts training in Caribbean countries as well as in Canada. 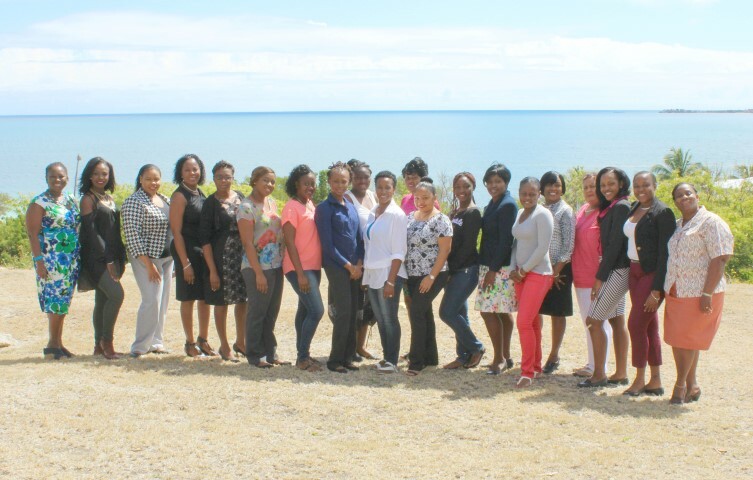 The Wedding Planners and Coordinators Certification Workshop began on Tuesday and has attracted the participation of nineteen individuals representing various hotels, resorts and organizations across the island. The course’s facilitator, Sue Morris from the Wedding Planners Institute of Canada, explained that the forum aims to standardize how weddings are facilitated both for local and destination clients. “Weddings are a big business. It is probably the most expensive party that most people will host. There are a lot of rituals and processes, so it is a big investment for most people. As event professionals, there are a lot of ways that we can assist persons to save and ensure that the event comes off well and professionally”, Morris stated. Among the topics that will be covered in the two day forum are-the history of weddings, the profession of wedding coordinators and planners, food and beverage, etiquette, fees and how to charge and how to manage space. For persons who wish to embark on a career in the field, Morris said, excellent communication skills, inter personal relations and a passion for the industry are assets. Training and Program Manager at the Antigua Hotels and Tourist Association, Anthea Watkins, explained that 2016 is the year for training and development of human resources. She added that the association recognizes that weddings generate a lot of revenue for hotels; therefore wedding planners and coordinators need to be “on top of their game”.